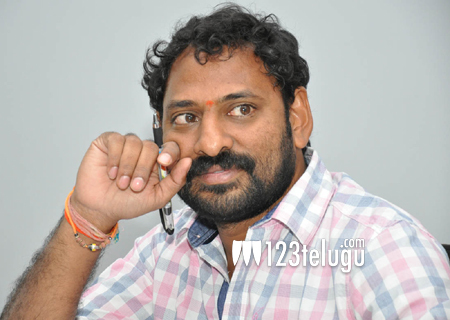 Director Srikanth Addala, has become a huge name in the industry. His latest film, Mukunda has hit the screens yesterday and we caught up with him to find out what kind of response is he getting for his film. A) Frankly speaking, there was a mixed report on the first day. But as the word spread, we got positive reports from the audience and the second day has been very good. Q) How was it working with a debutante actor like Varun ? A) I am hugely satisfied with his efforts in just his first film. He has given complete justice to the character I have written and has a long career ahead. Q) Did you design action sequences keeping Varun in mind ? A) No ! After completing the story, I roped in Varun for the role. As my script was action oriented we went ahead and designed according to the script. Q) The lead pair never interact in the film. Was this intentional ? A) Yes ! it was. I always wanted to showcase love in a pure and serene form and that is why I designed the love track without any dialogues. Q) Your next film is titled Brahmotsavam. Tell us about that ? A) Yes ! it will be a love story set completely amidst family emotions. Pre-production works of this film is going on a brisk pace and other details of this project will be announced shortly. Q) Who inspired you to become a director ? A) I am a huge fan of Dasari Narayana Rao and used to follow all his films to learn how write interesting screenplay. Q) Can we expect another multi-starrer in your direction ? A) Why not ! SVSC gave me the courage to think out of the box and definitely will do a multi-starrer in the future.